Life imitated art recently after your favorite lezzzbun drug dealer Felicia “Snoop” Pearson was arrested in a major drug bust. 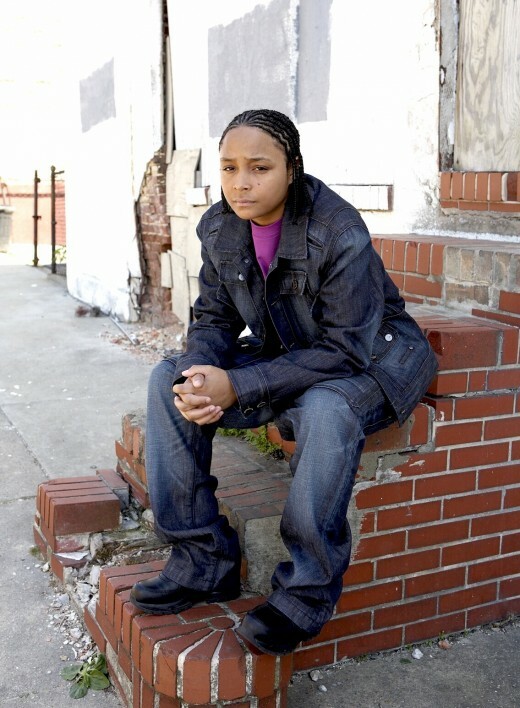 Pearson, 30, best known for her role on the HBO series “The Wire” (a dramatic series about the drug game in Baltimore) has been charged with conspiring to sell heroin and was one of dozens arrested in early morning raids across Baltimore. Snoop is among 64 people charged in a joint state-federal prosecution of a large east Baltimore drug gang and has been charged in state court with conspiring with two men to distribute heroin and aiding and abetting. Local television cameras captured raw footage of federal agents leading Pearson from an apartment building downtown to a waiting police van. She was one of 37 people arrested by about 450 federal, state and local officers early yesterday morning. This is not the first time Pearson has been in trouble with the law. In fact, in a weird twist, it was a young life of crime that brought her to TV in the first place.